Watch this on demand Federal Government video on optimizing data center operations and management. We discuss how SolarWinds can help you develop and report on data center strategies to consolidate inefficient infrastructure, optimize existing facilities, and take better advantage of cloud and shared services. 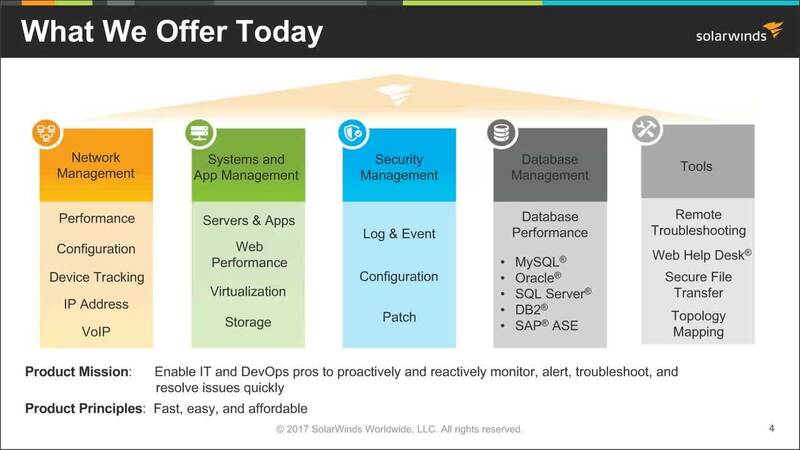 SolarWinds products can also help you achieve your agency’s virtualization, server utilization, and monitoring targets.